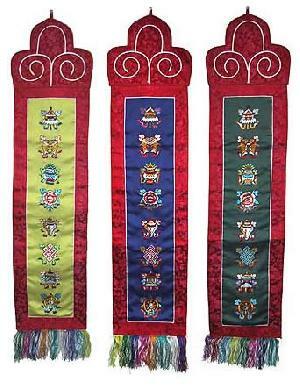 of embroidered 8 auspicious symbols will brighten up your room and will also bring you good luck. It will hang beautifuly in your hallway or can be perfect addition for your altar. Size: L X W 42" X 6"